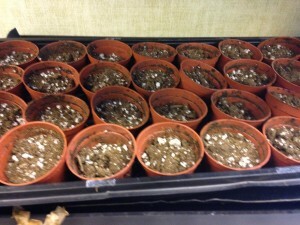 Today we are beginning our seedling and planting and experiments. 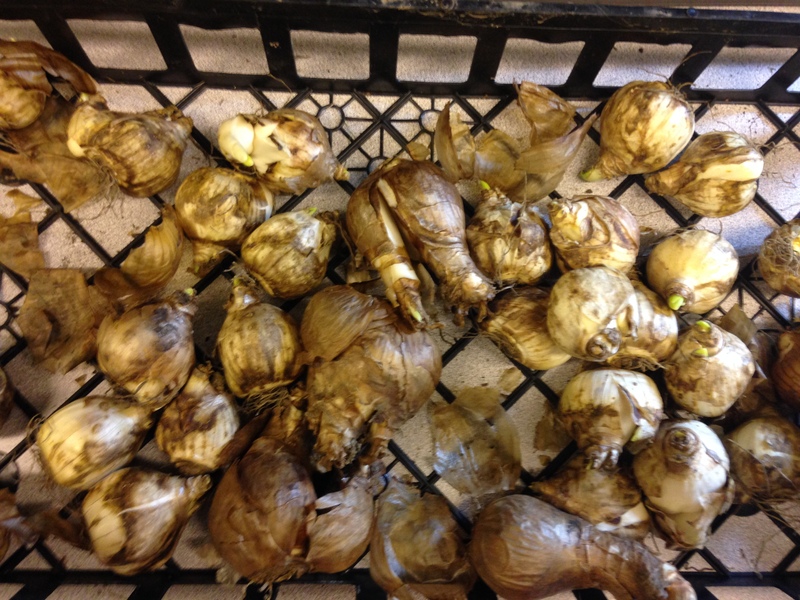 We started the planting with our mystery bulbs that Emma and Nicole brought back from volunteering at the Como Lake invasive plant removal a few months ago. We started by taking glass and plastic containers and and putting a layer of wet paper towel in the bottom as bedding. 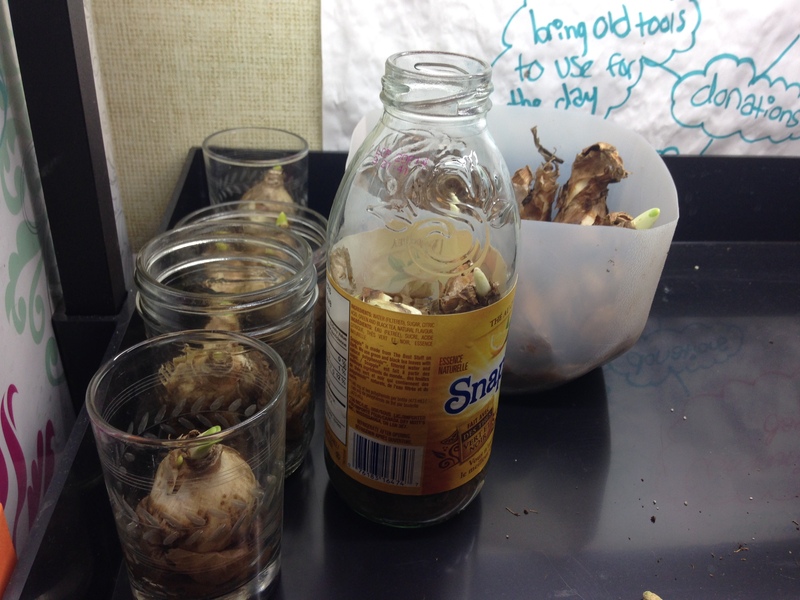 Then we placed a bulb or two (depending on how big the container was) on the bedding and placed the container under our plant lights without a heating pad underneath. 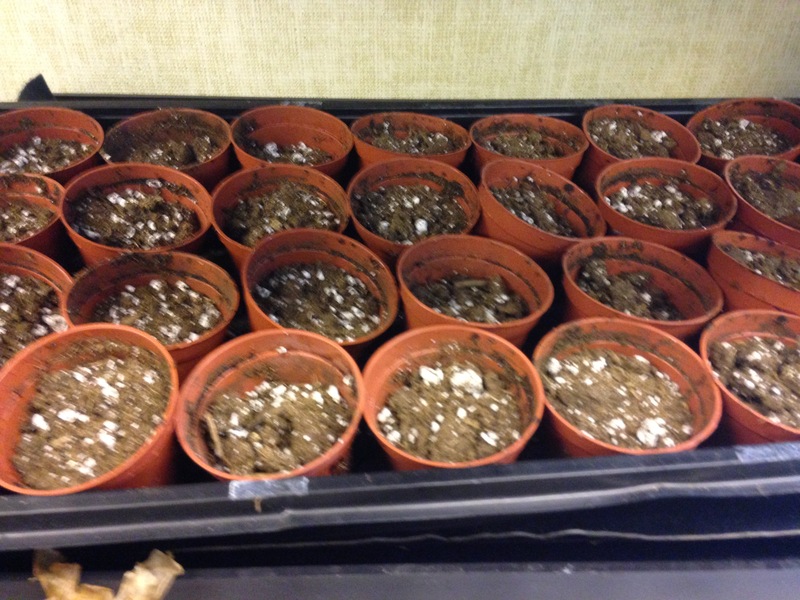 We also washed all of our little brown plant pots with hot water (to make sure that there wasn’t any disease or anything from the previous plants), then filled them with soil. In them, we planted a tray of violas and 4 pots of herbs, lavender, dill, rosemary, thyme, and basil. That’s all we had time for today, but hopefully we will get a chance to start some of our other projects soon. These include: starting up our aquaponics system again, and planting some more flowers so we can and put them around the school when the blossom.